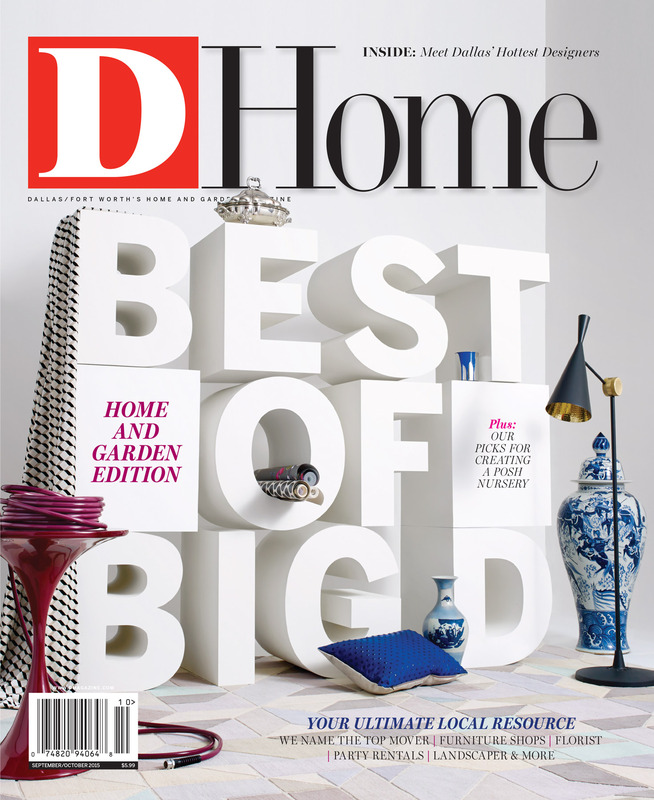 By The D Home Staff | 4 years ago Our annual list of Dallas’ premier shops, services, and design professionals. By Stacy Girard | 4 years ago Get a crash course in world history in Carol Quist and Patrick Tichacek’s eclectic treasure trove of a home. By D Magazine | 4 years ago We scouted the city for the latest and greatest in children’s decor and bring you big inspiration for the littlest member of the family. By Jessica Jones | 4 years ago A beloved property gets a bright new beginning thanks to one family who turned their real-estate fantasy into a reality. By D Magazine | 4 years ago Get expressive with accessories loaded with attitude and playful irreverence. By D Magazine | 4 years ago It’s all in the details with these whittle things. By D Magazine | 4 years ago All the latest home retail news and more. By D Magazine | 4 years ago The founder of the Dallas Flea got her start in journalism. By D Magazine | 4 years ago Transitioning saturated walls back to white can be a notoriously tricky—and time-consuming—endeavor. So we’ve done the work for you, testing five leading paint brands’ whitest whites on a charcoal wall to see which passed with flying colors. By Jessica Jones | 4 years ago Aaron Wunderlich’s venture offers functional pieces of art. By Nancy Nichols | 4 years ago The first whisper of fall brings with it this versatile fruit that’s as delicious to look at as it is to eat. By Leslie F. Halleck | 4 years ago When temperatures start to dip, let your appetite for nature’s flavor enhancers go wild. By Ryan Conner | 4 years ago Five of our favorite local shops to rock-a-buy for your baby. By D Magazine | 4 years ago They're anything but square.